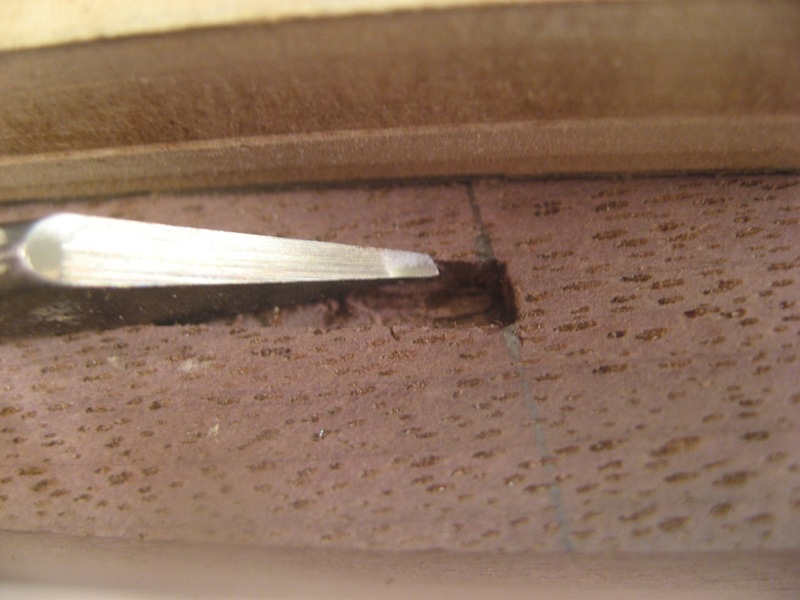 When I had finished making the inlay material and tested it in sample grooves, I realized that I needed a very small chisel to square off the ends where multiple strips come together. I don”t have a 3/32″ chisel, so I made one. I started with an old screwdriver and my grinding wheel. After about 5 minutes, taking it slowly, I ended up with a concave curve very similar to what I get grinding any of my chisels. 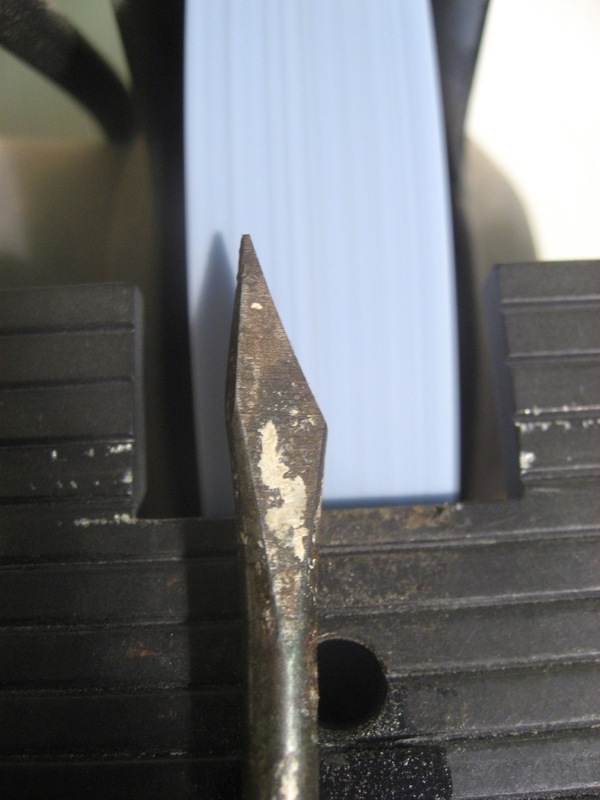 The picture below is a side view to show the concave curve left by the grinder. The right hand side is what was square to the grinding wheel when sparks were flying. From there it was just a few strokes on the water stones to smooth the tip. 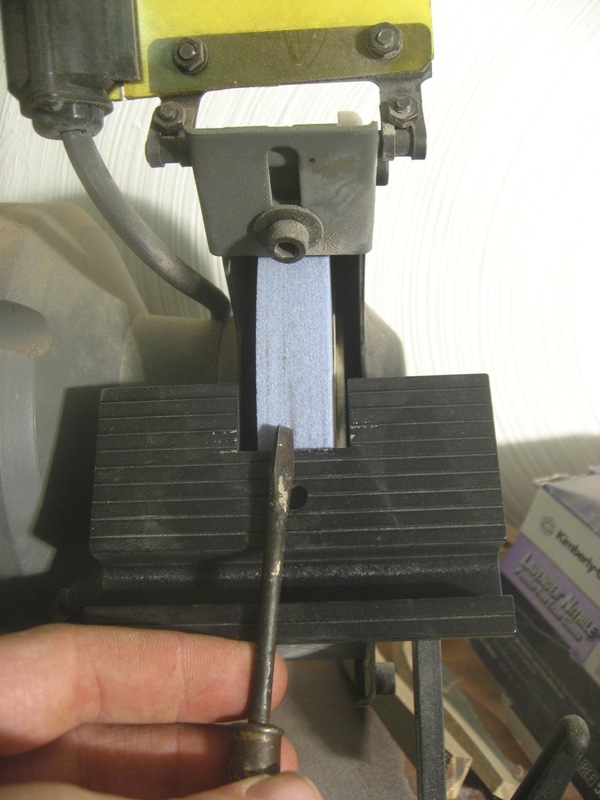 Given the concave shape, the “chisel” rested on the stone at the very toe and heel so there”s very little metal to take to quickly hone. 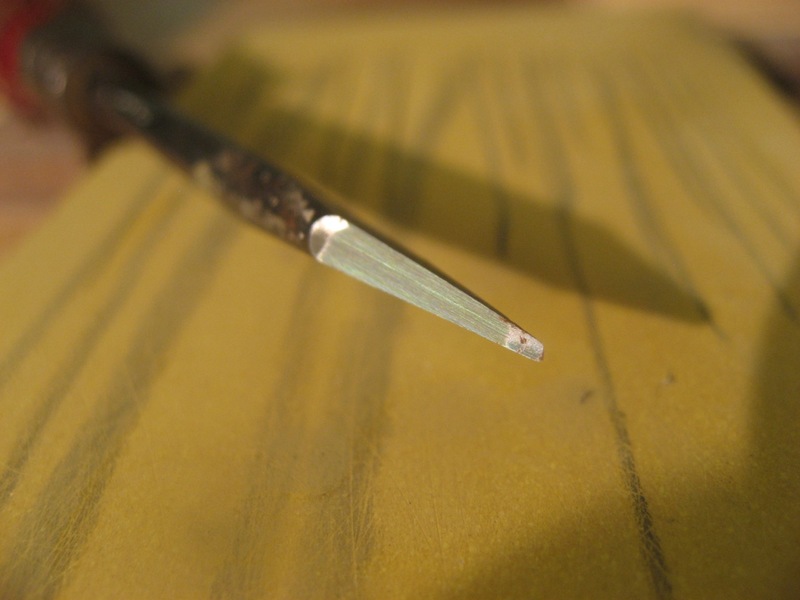 Testing out a very small chisel to square a 3/32″ groove. On to the real thing.